The latest models continue with hurricane Florence hitting north Carolina, somewhat further south than predicted earlier in the week. The path southward and then into the US continues to be forecast. Another change is a decrease in anticipated intensity. While intensity forecasts are even less reliable than hurricane track forecasts, the latest show Florence to approach as a category 2-3 hurricane and reduce quickly to a category 2. This is less severe than forecast earlier in the week. Current tracks (various models) as of Thursday morning. 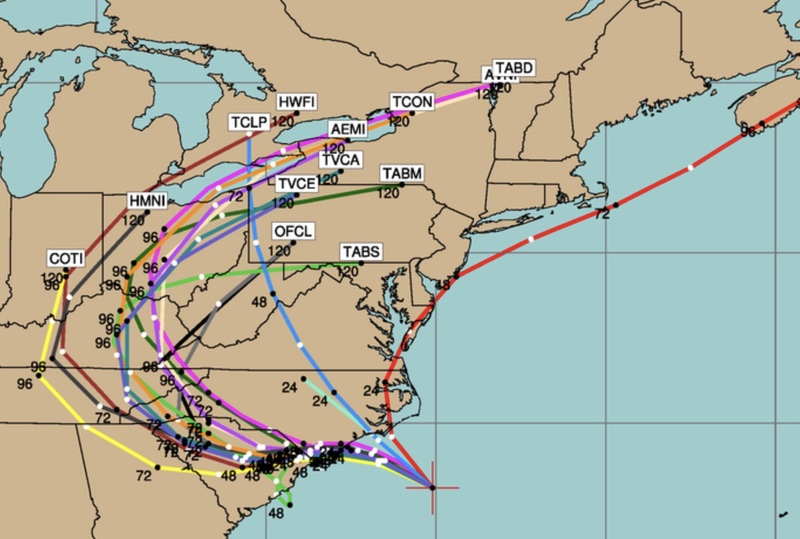 Various model predicted tracks as of 8AM Thursday. The anticipated lingering of the storm along the coast for 24 hours will still result in major wind damage and severe flooding despite the decrease in intensity level. The forecast for the Philadelphia area still calling for dry conditions over the weekend. 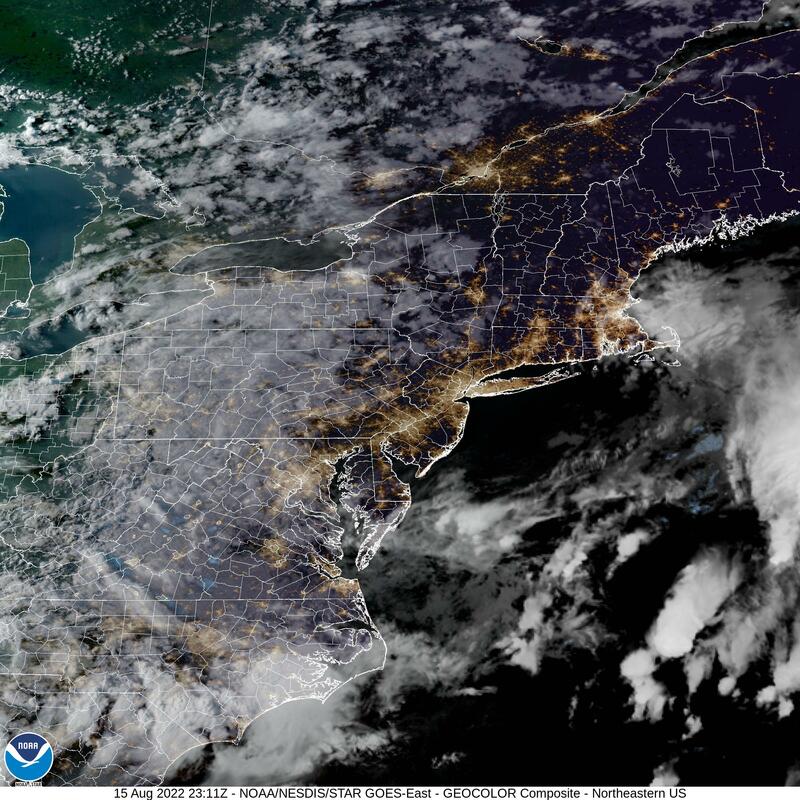 The cloud shield from the storm may result in overcast conditions. The statistical models suggest that the remnants of the hurricane will result in heavy rains sometime in the late Monday to early Wednesday time frame in our area.